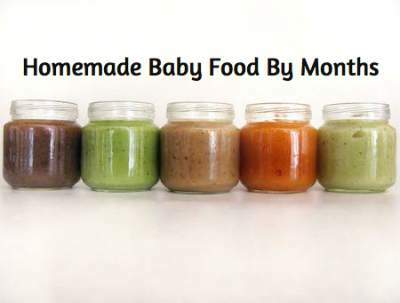 There’s something very special about preparing your own baby food for your little one. The key is to know what’s appropriate for your baby’s age. Always introduce vegetables before fruits. If you give fruits first there will be a good chance that your baby will have little interest in the veggies, since he/she has gotten used to the sweetness. Always wait three days before introducing a new food. You want to make sure that your baby is not allergic or reacting negatively to the new food. 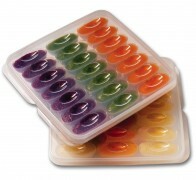 Store your homemade baby food in trays like the Mumi&Bubi Baby Food Freezer Trays. They come with a cover and there’s a special offer on the Starter Kit on Amazon.com. The portion sizes are perfect for your little ones. 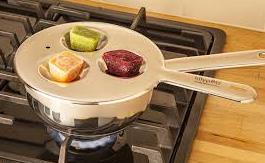 Start off with one food cube, which is about 30g and work yourself up to three cubes 90g. Variety! Be sure to introduce as many foods as possible before your baby turns 1 year old. Afterwards it will get harder to get babies to like certain foods. Organic! Try to buy your babies food items organic. The US allows 4 times as many pesticides on our food than Germany. Defrosting: Don’t use microwaves to defrost your frozen baby food cubes. There’s a wonderful alternative that I tested that I can highly recommend. From the UK and now also available in the US: Lilly Pots! You can also find it on Amazon.com. Let your baby explore textures, sizes and flavors when he/she is ready by introducing finger foods. Cut up cheese, chicken, bread, veggies in small bite size squares when you think that your baby is ready to handle it and let them explore. It gives you a break from spoon feeding and your baby will love it! Remember babies don’t really NEED food until they turn 1 year old. They get all their nutrients from breastmilk and formula. So don’t worry if most of the food doesn’t end up in baby’s tummy. Just have fun with it! Don’t introduce dairy and meat as of yet. Only introduce Cow’s milk after 12 months. Enjoy! Disclaimer: Always ask your doctor if certain food items are appropriate for your baby or if you are in doubt.